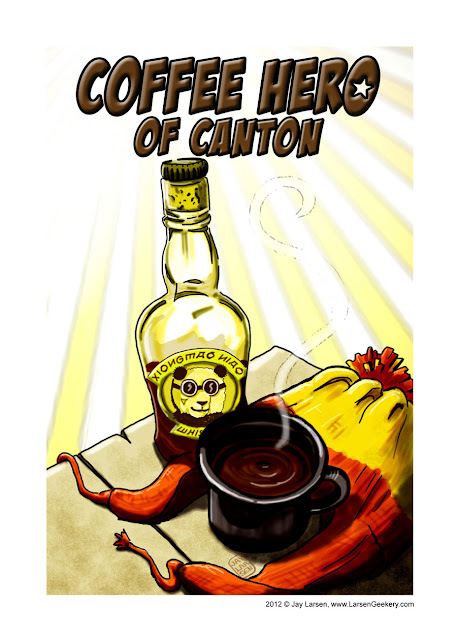 Just finished designing a new Coffee Hero Greeting Card just in time for Geek Fest 2012, a concert and vendor fair put on by Seattle Browncoats Charities. The show will be in Shoreline, WA this year, and it has expanded to two full days. Shoreline Conference Center, 18560 1st Ave NE, Shoreline, WA 98155 on December 15 & 16, 2012. Hours: Saturday: 10 a.m. – 6 p.m., Sunday: 10 a.m. – 5 p.m. This Coffee Hero Card available in our Etsy Store and we will be bringing some to the show. This year is also the 10th Anniversary of Firefly, the Joss Whedon TV Show that featured the irascible Jayne Cobb, the Hero of Canton and owner of the most famous hat in all of Geekdom, the Jayne Hat. 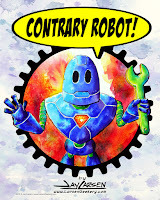 I hope the Browncoats like the design. And although Jayne Cobb drinks his coffee with Xiongmao Niao, I don't recommend it. Only Mudders drink that stuff.